Vegetarian and vegan diets have grown in popularity in recent years as the general public becomes more health conscious and aware of different practices used in the meat industry. 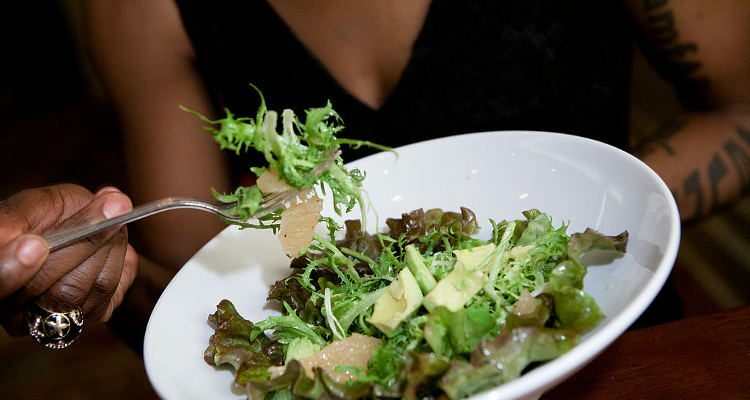 While you may have adopted a vegan diet to improve your physical health, according to a recent study, you may actually be causing yourself harm. This is because many of the proteins we need in order to self-heal come from animals and animal by-products, and abstaining from these sources can lead to a protein deficiency that slows our body’s healing processes. Take Blink-182’s Travis Barker for example. In 2008, he survived a plane crash that left him with second and third degree burns all over his body and required skin grafts. Barker was a vegan at the time, and because of his lower protein levels, doctors had a difficult time getting the grafts to take. Eventually, his physicians put him on a 6,000 calorie a day diet to expedite the healing process, and he broke away from his regular plant-based diet, admitting that beef jerky became a staple for him. Once he had changed his diet, doctors attempted the skin grafts again with more success. Was Barker’s recovery really just down to his diet? This topic is still up for debate. A 2013 review in the Journal of the American College of Nutrition asserted that the proteins found in milk are better suited to aid in muscle recovery after exercise than those found in soy. However, Neal Barnard, the president of the Physicians Committee for Responsible Medicine disputed this, explaining that there is an abundance of protein to be found in certain beans and vegetables that would allow for vegans to build and repair muscle just as easily as those who consume animal proteins. He also used nature as an example, positing that if large animals like bulls and elephants are able to build strength and muscle while on a plant-based diet, it should be possible for humans to do the same. In regards to healing, along with proteins, it is important that vegans consume plenty of Omega-3 fatty acids as well a protein, something which may prove difficult as the most well-known sources of this essential are eggs and fish. There are vegan alternatives, however, and making walnuts, flaxseed oil, and canola oil staples in your diet are a great way to get these fatty acids. In terms of protein, half a cup of lentils can add 9 grams of protein to your meal, while quinoa and green peas can add 8 grams per cup and pumpkin seeds 8 grams per quarter cup. Of course, there are vegan protein powders and supplements available as well, so there is no need to go without the vital macronutrient. While following a vegan diet does make it harder to get enough protein, it can be done if you choose the right foods and mix in the appropriate vegetables, nuts, seeds, and beans throughout the day. Whether the consumption of meat is what allowed Travis Barker to eventually heal can still be debated, as the drummer may have been protein deficient from not eating the right kinds of foods rather than just because he was vegan. It all comes down to ensuring you’re eating a balanced diet and meeting your nutritional needs, whether you’re vegan or not. Bucklin, S., “How a Vegan Diet Affects Your Body’s Ability to Heal Itself,” Science of Us web site, December 22, 2016; http://nymag.com/scienceofus/2016/12/how-a-vegan-diet-affects-your-bodys-ability-to-heal-itself.html, last accessed January 11, 2017. “25 Delicious Vegan Sources of Protein (The Ultimate Guide),” One Green Planet web site, December 31, 2016; http://www.onegreenplanet.org/natural-health/vegan-sources-of-protein/, last accessed January 11, 2017.